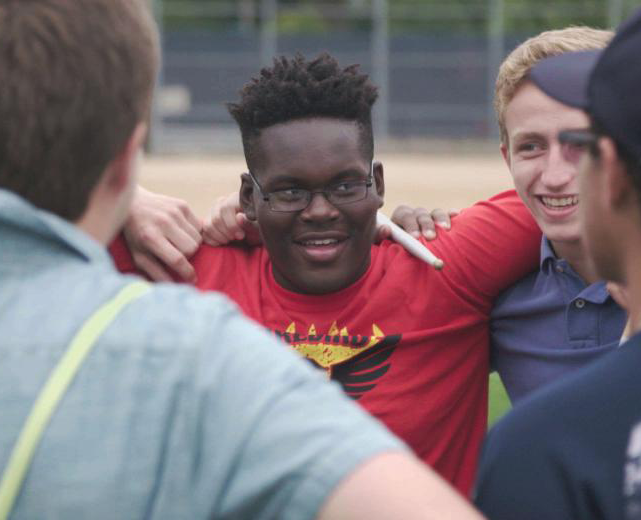 Starz, a Lionsgate company, today announced the premium cable network has acquired the unscripted 10-part docu-series America to Me, created by award-winning filmmaker Steve James (Hoop Dreams, The Interrupters, Life Itself), and produced by Participant Media and Kartemquin Films. America To Me follows students, teachers and administrators in suburban Chicago’s Oak Park and River Forest High School, one of the country’s most exemplary and diverse public schools, over the course of a year as they grapple with decades-long racial and educational inequities – in addition to the challenges that today’s teenagers face. Digging deep into the experiences of a racially diverse student population, America to Me sparks extremely candid conversations about what has succeeded and what has failed in the quest to achieve racial equality and overcome bias in our education system. Part observational character story and part high school confessional, James captures critical moments within this vibrant high school ecosystem. America to Me is Participant Media’s first unscripted series which aligns with the company’s overall mission of telling compelling and impactful stories across multiple platforms. The series and accompanying social impact campaign aim to spark and guide a national conversation around race, education, opportunity and agency. James directed and executive produced the 10 hour-long episode docuseries via his longtime production home, Kartemquin Films. The series is executive produced by Gordon Quinn (Hoop Dreams, The Trials of Muhammad Ali, Unbroken Glass), Betsy Steinberg (Edith + Eddie, Keep Talking, Stranded by the State) and Justine Nagan (Minding the Gap, All the Queen’s Horses, “P.O.V.”), with Participant Media’s Jeff Skoll (The Help, The Kite Runner, Lincoln) and Diane Weyermann (An Inconvenient Sequel: Truth to Power, Human Flow and CITIZENFOUR). Kevin Shaw (The NFL Season: A Biography, The Street Stops Here), Rebecca Parish (Radical Grace) and Bing Liu (Minding the Gap) served as story directors. John Condne served as series producer, along with producer Risé Sanders-Weir (“Wrath of God”, Biography, “American Justice“ Mobsters,” “American Greed,” “Perilous Journeys”), co-producer Janea Smith (“Chicagoland”) and associate producer Stephanie Smith. Film editing by Leslie Simmer (Raising Bertie, The Homestretch) and David E. Simpson (Life Itself, Maya Angelou: And Still I Rise); associate editor, Alanna Schmelter (“Bizarre Foods: Delicious Destinations,” “Young Marvels,” Live Free or Die”); and assistant editor, Rubin Daniels (Standing on Common Ground: New Orleans Ten Years Later). America to Me will make its world premiere tonight with the first five episodes at the 2018 Sundance Film Festival in the new “Indie Episodic” category (get tickets and information). Founded in 2004 by Jeff Skoll, Participant Media’s (www.participantmedia.com) content combines the power of a good story well told with opportunities for real world impact and awareness around the most pressing global issues of our time. As an industry content leader, Participant annually produces up to six narrative feature films, five documentary films, three episodic television series, and more than 40 hours of digital short form programming, through its digital subsidiary SoulPancake—all aimed at entertainment that inspires social awareness and engaging audiences to participate in positive social change. Participant’s content and social impact mandate speaks directly to the rise of today’s “conscious consumer,” representing over 2 billion consumers who are compelled to make impactful content a priority focus. Through its worldwide network of traditional and digital distribution, aligned with partnerships with key non-profit and NGO organizations, Participant is positioned uniquely within the industry to engage a rapidly growing audience while bringing global awareness and action to today’s most vital issues. Participant’s more than 75 films, including Spotlight, Contagion, Lincoln, The Help, He Named Me Malala, The Look of Silence, CITIZENFOUR, Food, Inc., and An Inconvenient Truth, have collectively earned 52 Academy Award® nominations and 11 wins, including Best Picture for Spotlight. Participant’s digital entertainment division, SoulPancake (www.soulpancake.com), is an award-winning provider of thought-provoking, joyful, and uplifting digital content including such widely popular series as Kid President and The Science of Happiness and reaches an audience of nearly 9 million fans. Follow Participant Media on Twitter at @Participant and on Facebook and Instagram. Follow SoulPancake on Twitter @soulpancake and on Facebook and Instagram. Recent productions include the Emmy-winning Life Itself (directed by Steve James, distributed by Magnolia Pictures) and The Homestretch (directed by Kirsten Kelly and Anne de Mare, distributed by The Orchard); and the duPont-Columbia award-winning Al Jazeera America series Hard Earned. 2017 releases include Steve James’ Abacus: Small Enough to Jail (PBS Distribution); Margaret Byrne’s Raising Bertie (Gunpowder & Sky); and Laura Checkoway’s Edith+Eddie, winner of the IDA Award for Best Documentary Short.